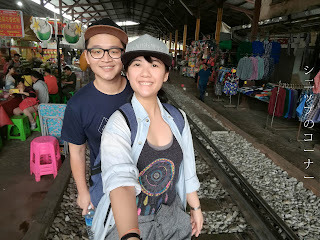 We're finally on the day I had the most adventure in Thailand, and that is my visit to the Maeklong Rail Market and the Amphawa Floating Market - some 90km away from central Bangkok. I mean, we literally left Bangkok for another state, I didn't even know where. If you've seen videos showing a market with vendors keeping their goods at certain times, or as they scramble to keep their canopies, you'd probably know about Maeklong Rail Market. Pronounced as Mae-Kong, it's a 90km drive away from Bangkok and you can get here via a minivan ride from the Mo Chit Bus Station. Don't be fooled though, the bus station is nowhere near the Mo Chit BTS Station that takes you to Chatuchak market so it's highly recommended that you get a GRAB directly to the bus station. Once you've arrived, ignore all stalls you first see and head right for platform 3 where more stalls and a string of minivans are waiting. These are the stalls that will take you to the Maeklong drop off spot, just a street away from the main attraction - the Maeklong Railway Market. 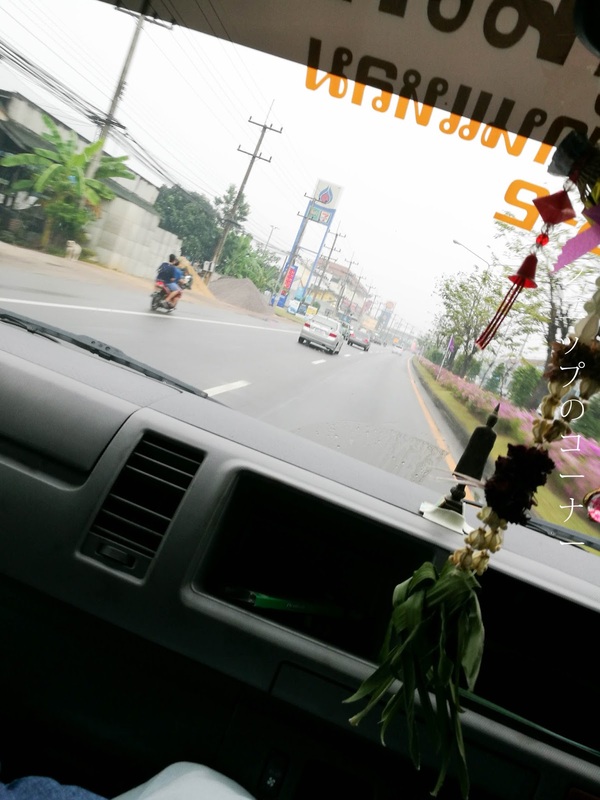 It costs 90 baht per person on the minivan and the ride can span between an hour and a half to two hours depending on traffic on that day. 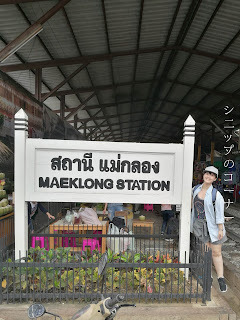 Remember, you're actually leaving Bangkok for another state when you visit Maeklong. Look out for signs of a train track. Once you've braved the long ride, just keep a look out for signs of a train track or a main market itself. The market is a literal mess with locals selling fresh vegetables, fruits, and catches like fish and prawn. It's rather dirty inside, but it's the life of locals that you shouldn't miss seeing. Don't miss taking photos on the track itself! For first time visitors, you should be made aware that there is a certain schedule that the train keeps to so always try to be around the area about 10 minutes before the actual train arrival or departure. The most common times are at 6.20am, 9am, 11.30am, and 3.30pm if you want to see the train depart from the station and 8.30am, 11.10am, 2.30pm, and 5.40pm if you want to see it arrive. For my other half and I, we caught the train arriving a little after 2.30pm and stood guard at 2 different ends of the market to experience how it is to see the train pull up at the station. He was situated at the start of the market where there were definitely less people and I was right in the middle of the market where I could see vendors pull their canopies in for the train to go through. The experience was pretty phenomenal and it's something you'd actually have to see for yourself to truly enjoy the moment. It rained the entire day! What a bummer! A mere 15-minute ride away from the Maeklong Rail Market, you can also visit the Amphawa Floating Market - a less touristy spot for you to experience a floating market as a whole. It's definitely smaller than the Damneon Saduak Floating Market, but it's nothing less of being amazing. 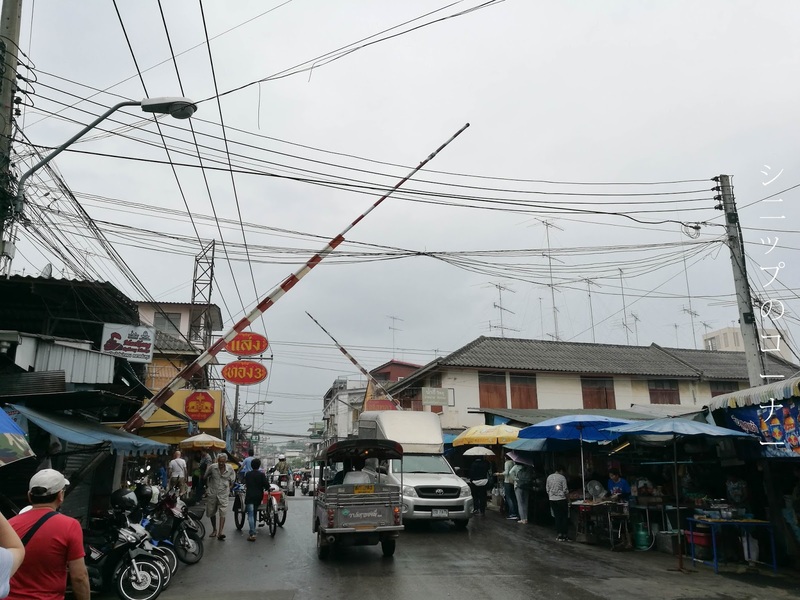 From the Maeklong Rail Market, simply walk out to the main road and spot a row of songthaews in front of the 7-Eleven there. Songthaews are the locals' taxi-trucks and are most times open air and is a shared ride for about 10 to 12 people. This ride will cost you only 8 baht, a good deal since you've already made the trip all the way. Once you've arrived the songthaew spot, simply ask the driver how to get to the Amphawa Floating Market and they should guide you accordingly as you hand them the money at the drivers' seat. Take note that you'll need to give them exact change as they rarely carry change with them. It should only take you 5 minutes to spot the market and there are stalls along the way to entice you with street food and local buys like tourist shirts and such. 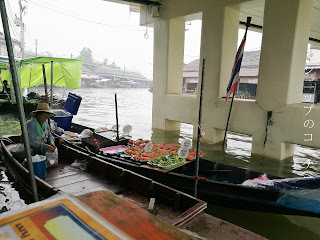 What's interesting at floating markets is that businesses are often dealt with on boats - which is essentially what floating markets are famous for. At Amphawa Floating Market, you can get an array of fresh grilled seafood such as prawns, scallops, and mussels or cool down with a coconut ice cream or two along the way. 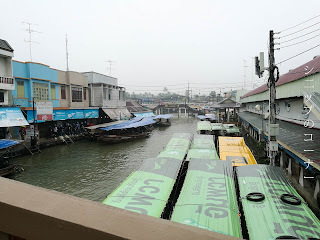 They also provide a 1-hour boat tour for only 50 baht, complete with a guide and safety jackets but we had to give it a miss as it was raining on the day of our visit. 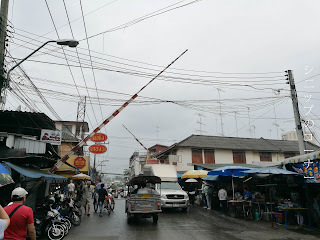 To get back to Bangkok from Amphawa Floating Market, simply turn left from where you were dropped off during the songthaew ride and you'll find a minivan station on your left. It would look rather run down but there's regularly a friendly lady who will ask you where you're headed. The earliest minivan however only leaves at 5.40pm so it's good to walk around the market until about 5.20pm and make your way to the station. This ride will cost 60 baht per person and takes about 2 hours back to the Southern Bus Terminal. From there, you'd have to switch into a different minivan for 40 baht per person to head to the Victory Monument BTS Station or try to get a GRAB to wherever you need to go. 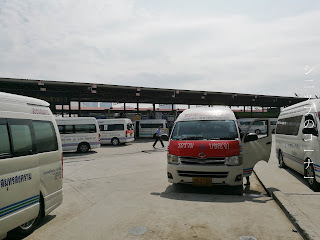 As an overall, the trip does feel rather lengthy from the numerous minivan rides but it's a really rewarding experience by the end of the day. Take note that you'll have to devote an entire day for this trip, but it's really not too pricey for an adventure like no other. Would I do it again? 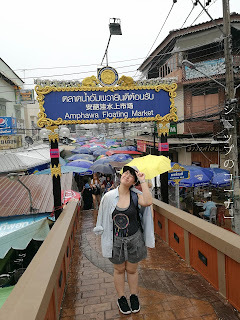 I may, but probably try to stay around the Amphawa area for a night so I don't have to do a one-day trip. The whole minivan ride does take a toll on your back and buttock. Just saying.